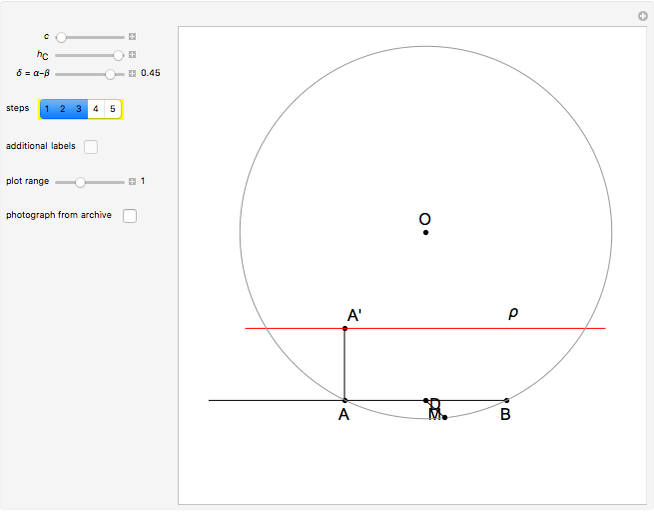 Step 1: Draw a line segment of length and let its midpoint be . 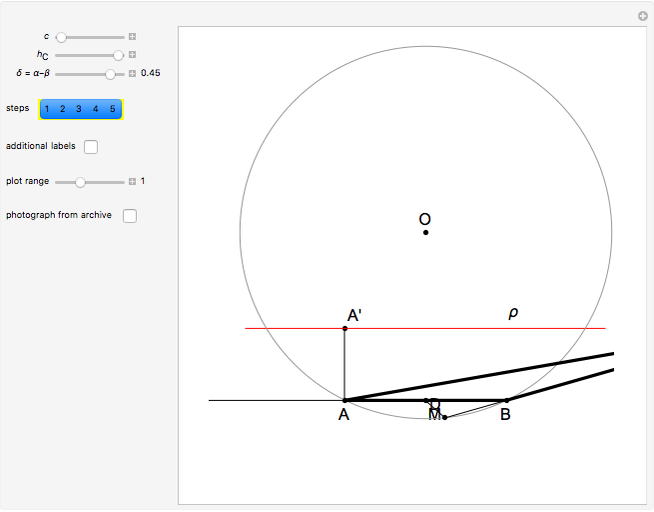 Draw a line segment of length perpendicular to . Through , draw a straight line parallel to . 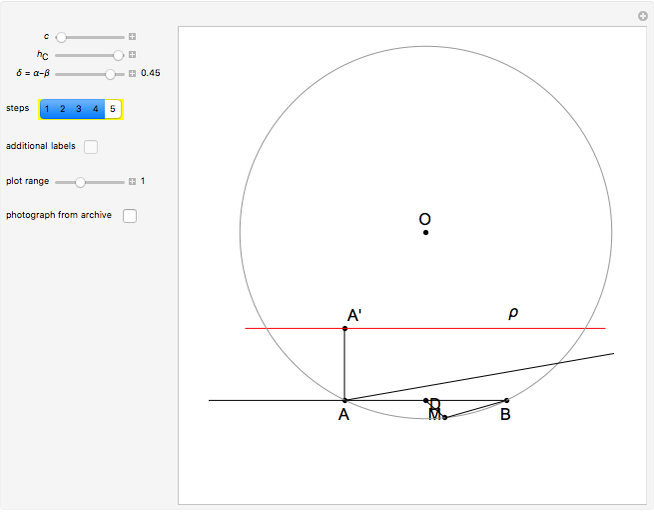 Step 2: Draw a circle so that the segment is viewed at angle as a chord of the circle, which implies the central angle . Step 3: Let be the intersection of the ray and the circle . Step 4: The point is the intersection of and . This is the most elegant construction. It is based on the fact that the exterior angle of the triangle at is and the interior angle at is , so the angle at is . Izidor Hafner "The Plemelj Construction of a Triangle: 5"